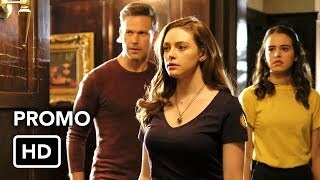 Legacies 1×06 “Mombie Dearest” Season 1 Episode 6 Promo – LIZZIE AND JOSIE’S SWEET SIXTEEN – As Lizzie (Jenny Boyd) and Josie (Kaylee Bryant) prepare for their long awaited sweet sixteen party, Alaric (Matthew Davis) finds himself preoccupied with the latest supernatural arrival – one that hits a little too close to home. 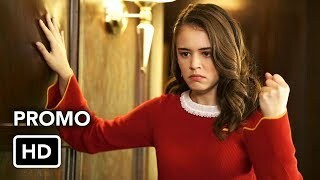 Elsewhere, Penelope’s (guest star Lulu Antariksa) latest plan gives MG (Quincy Fouse) one last shot at impressing Lizzie on her big day, while an unexpected betrayal causes tensions to boil over between Hope (Danielle Rose Russell) and Rafael (Peyton Alex Smith). Geoff Shotz directed the episode written by Marguerite MacIntyre (#106). 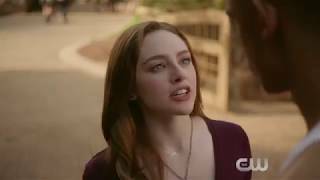 Original airdate 12/6/2018.